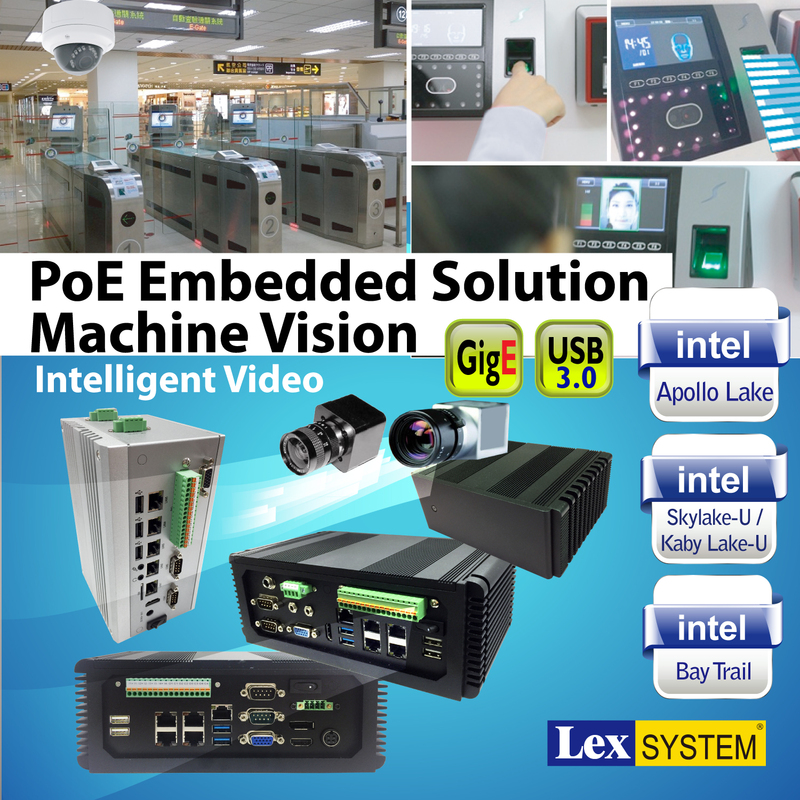 LEX Machine Vision Produkte mit der Kombination von High-Speed-Kamera-Schnittstelle: Giga LAN, PoE LAN und USB 2.0 / 3.0, wurden entwickelt, um die Anforderungen der Industrieautomation an die Produktlinie zu erfüllen. LEX Machine Vision-Produkte bieten eine breite Palette von Inspektionsfunktionen und sind eine leistungsstarke Lösung für Machine-Vision-Anwendungen in intelligenten Fabriken der Industrie 4.0. PoE (Power over Ethernet) is an advanced technology which following the IEEE 802.3af PoE standard with capacity of delivering 15.4W power and transferring data via Ethernet cable to various PoE devices, allowing it to function smoothly even in areas where power cables could not reach. Our PoE system can be connected to many networks such as IP Cameras, VoIP Phone, Wireless Access Points and many others. 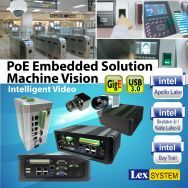 For example, when surveillance applications such as IP cameras are connected to our PoE system, video and image can be transferred along with the power via Ethernet cable. Hence, this technology offers our customer a more cost-effective surveillance solution. 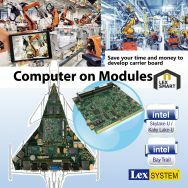 LEX's Computer-on-Modules which covers PICO Express® and SMART® solutions provide solid options for IoT, Networking, Surveillance, Vehicle & Automation applications. 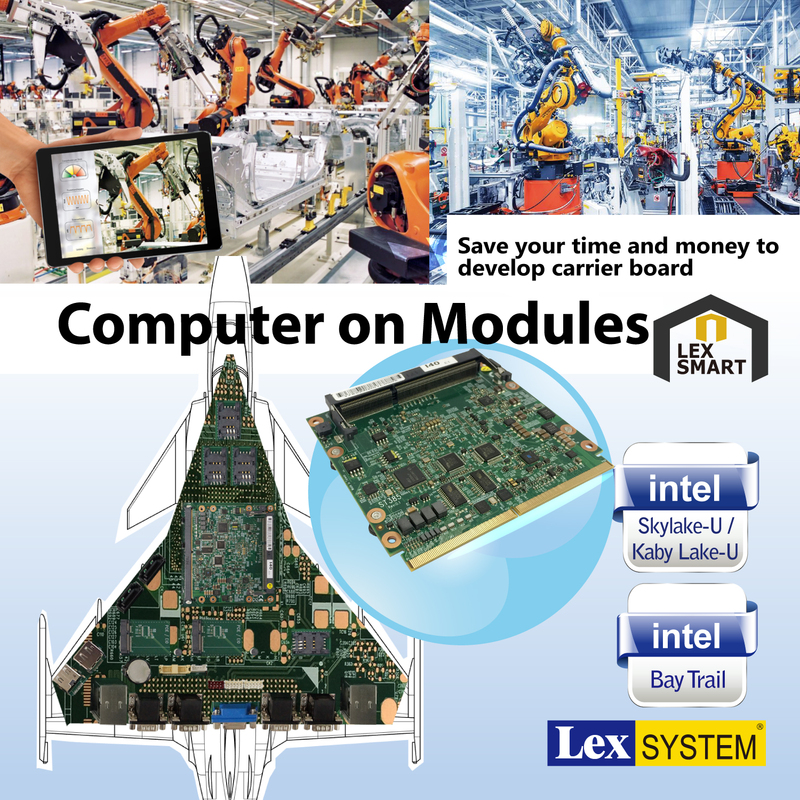 With more flexible and complete functions than COM Express® and SMARC® options, LEX's Computer-on-Modules provide customer the maximize potential with their carrier boars to build their own compact, high-performance system designed in a shortened development time. And this approach greatly enhances productivity and reduces time to market.